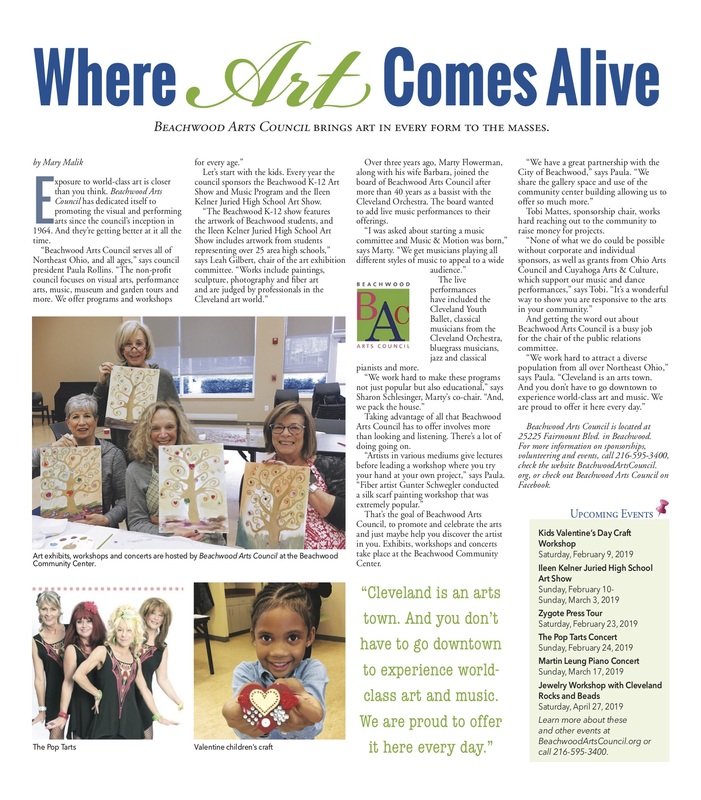 The article features Beachwood Arts Council's President, Paula Rollins. "So refreshing to see commercial fabrics used and appreciated! Great show!" "Outstanding, fabulous work! Such talented women. So proud of all of you and proud to be a part of this group!" "Wonderful show - this is my third visit with friends. 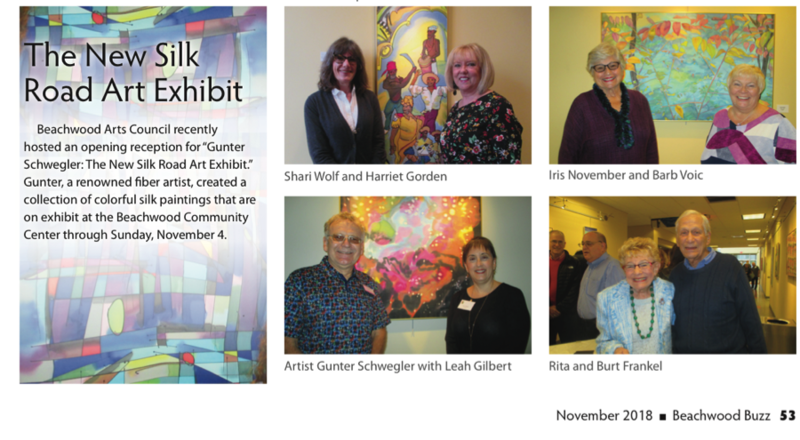 Congratulations, TAA members!" Beachwood K-12 students will display their creative artwork, including collages, drawings, paintings, and sculptures. Listen to music and songs by talented Beachwood students. $25/BAC members• $30/non-members. Fee includes all materials. The registration deadline is Saturday April 20, 2019. To register, please call 216.595.3400.